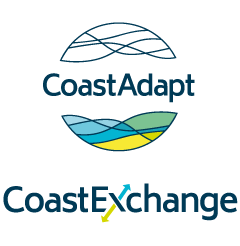 Home > CoastExchange > Feature Articles > Who owns my risk? One way to think about risks is through risk ownership. Risks can be owned by the organisation that owns the asset (such as a building owner), or the organisation that is responsible for managing the risk associated with that asset (such as a local council). Risks can be linear, for example the gradually increasing risk to children from exposure to lead, or non-linear, such as the sudden emergence of a new disease. Risks can be systemic, such as climate change, affecting diverse systems across multiple time frames. 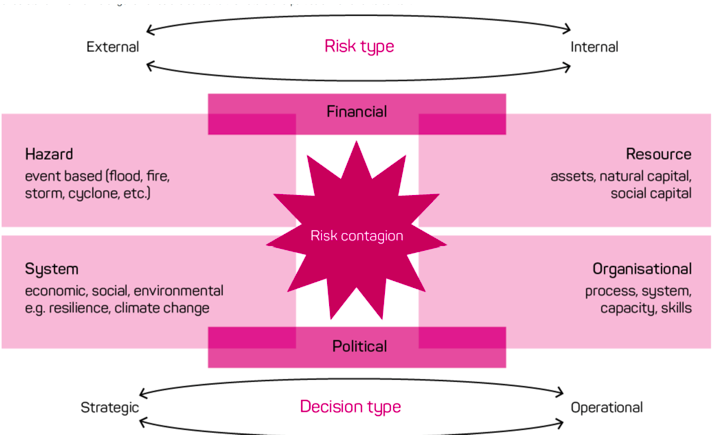 Systemic risks can be contagious, that is, spread to other areas, if the scale of an event is too big for the organisation to manage, or if in managing the impact of an event unrelated assets or services are damaged. For example, a council may close a road or bridge to manage flooding risk, affecting the businesses and households who rely on that road. The ideal is to ensure that everyone understands and accepts their risks and manages them appropriately. This is the basis of research by Celeste Young, a Collaborative Research Fellow at Victoria University. ‘Making natural disasters everyone's business is not a short-term proposition,’ Ms Young said. Ms Young’s research found that although there was a relatively even distribution of asset ownership across institutions, ownership of risk consequence, impact and actions was primarily with local and state government.